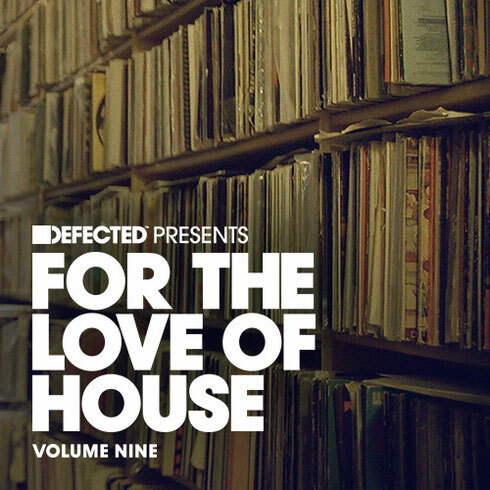 ‘Defected Presents For The Love of House Volume Nine’ is the latest instalment in the series of house music collections from the record label. This latest edition contains another selection of house music from across the board, from soulful to tech plus everything in between, and includes original productions from the likes of Roisin Murphy, Barbara Tucker Robin S, Erick Morillo, Wamdue Project, Kings of Tomorrow, Mousse T. and many more. Along with two exclusive DJ mixes, the release brings you 30, full-length and unmixed house cuts, including bonafide classics in the shape of Barbara Tucker ‘Everybody Dance ('The Don's' Club Mix)’, Playgroup Feat. KC Flightt ‘Front 2 Back (Todd Terry Remix Re-Edit)’ and NUfrequency Feat. Shara Nelson ‘Go That Deep (Skylark Vocal Remix)’. Digging deeper, the compilation also includes a number of classic tracks, including 95 North Presents Laura Harris ‘Bring Back The Love (Club Mix)’ and Rhythm Factor ‘You Bring Me Joy (The Original Demo Mix)’: two house records deserving of your attention. ‘Defected Presents For The Love of House Volume 9’ is out 25 September 2015 (digital) on Defected Records.